How can you help Hope Women’s Center? Donations – Click here to send your financial gift through egiving.com (a secure non-profit giving site) You can set up a one-time gift, a monthly auto-gift, or send your Arizona Charitable Tax Credit for the Working Poor to Hope Women’s Center. Volunteer – Hope Women’s Center is primarily volunteer driven. From teaching classes, mentoring, donation pick ups, cleaning, maintenance – you name it! Whatever your gift is, let God use it at the Hope Women’s Center! Click here for information and to download the Volunteer Application. In-Kind Donations – From everyday items like toilet paper, toothpaste, and deodorant to baby items like diapers and formula to gently used or new items like clothing, furniture, etc. The women in Hope Women’s Center use points they earn by attending life skill classes at the center to purchase these items for their families. Purchase items yourself, or organize a donation drive at your office or church! 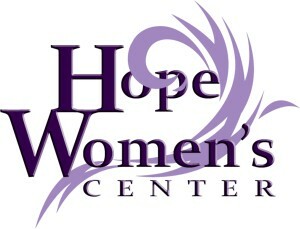 Hope Women’s Center is a Christian-based non-profit that engages, encourages and equips vulnerable women and adolescent girls facing challenges of poverty, unplanned pregnancy, domestic violence or substance abuse, by providing support and resources for their spiritual, physical and emotional needs. Programs are free and available to women and their families and any of the three center locations.